Kristin Creative: You guessed it! And... Christmas on a budget. 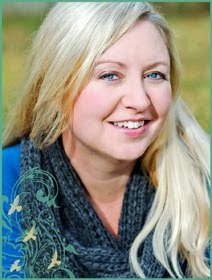 Tiana Smith is very resourceful and just earned herself an extra entry into my contest/giveaway.... I'm just not sure what I'll be giving away just yet! That's right, my blogging anniversary is December 10th! A whole YEAR!! Be on the look out for the announcement!! So we had this extra branch in the garage, and Sunday when I got home from a photo shoot, hubs had rigged it up in the tree stand (we had sort of joked about it before). We decorated it that night, and I'm not going to lie, I almost cried it looks so pathetic. I miss the smell of the real tree--the coziness of it. Well, that's one way to save $70. :) Now we won't show up empty handed to the family functions this month. 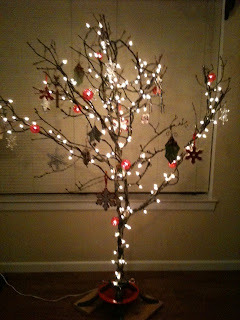 It might not be much, but I think your tree is very cute! And you're super creative for thinking to do that! Happy (almost) 1 year bloggiversary! ps - Love your Christmas Market display! So pretty! We picked up a $140 artificial tree for only $35 a couple years ago. (Got it right after Christmas.) Always a thought! 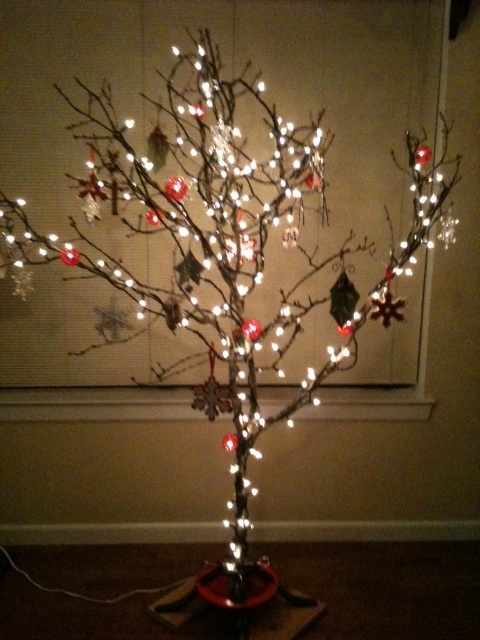 Of course, I was raised with an artificial tree, so a real one would seem odd to me. I think it's really, really cute! and the market display is beautiful too! Thanks y'all!! I'm sure one day I will look back fondly on my Christmas branch :) Right now, I'm still getting used to it! I think it's lovely!! I've always found bare branches beautiful, and I love twinkle lights. Trees really cost $70??? That's outrageous! We paid $19 for ours at Lowes. It's a 5'5 Fraser Fir, and very cute.